Students, staff, families, and community members shared a recent Friday evening together doing good for others. Meadowbrook Elementary hosted its seventh annual service night Nov. 16. The event has become a cherished tradition as students, staff, families and community members gather to do good for others. About 400 people attended the service night. 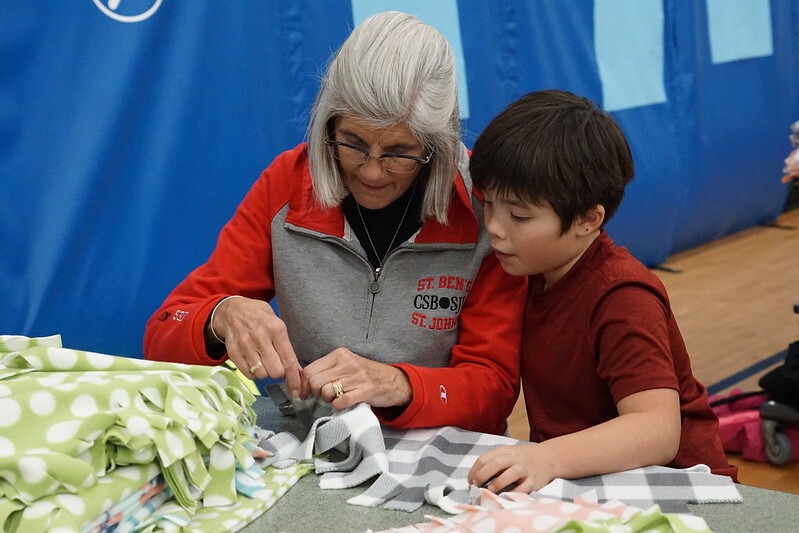 Attendees worked 14 separate service stations ranging from writing letters to veterans and making blankets for babies to separating dog food and decorating bags for Meals on Wheels. The Golden Valley firefighters were also in attendance handing out batteries for smoke alarms and helping community members practice CPR. Meadowbrook principal Greta Evans-Becker said the event is a favorite in the school community.